The Japanese American Historical Society of San Diego held its Annual Membership Meeting and Kansha Awards on Saturday, October 13th, 2018, at the Buddhist Temple of San Diego Annex Hall, from 11:00 a.m. to 1:00 p.m. The 2018 Kansha Awards were presented to Joe Cross and the late Guy Kiyoi – two humble community volunteers who never sought the limelight or rewards, but whose service to our local Nikkei community has been invaluable. The attack on Pearl Harbor by Japan was certainly a day that will live in infamy. Over 2000 US soldiers were killed, and 1000 injured. The US fleet was critically damaged, losing 20 navy ships and some 300 airplanes. Even before the Japanese attack on Pearl Harbor, the US government viewed its immigrants from Japan as being potential Japanese spies. Immediately after Pearl Harbor, the US government declared Japanese nationals “enemy aliens” and hundreds were arrested beginning the night of December 7, 1941. Then, a mere 10 weeks after Pearl Harbor, FDR issued Executive Order 9066. Many of you don’t know what EO 9066 is, much less how it affected 120,000 Japanese Americans and their families during WWII. EO9066, issued on February 19, 1942 by FDR, announced the immediate round up and imprisonment of all people of Japanese descent living on the West Coast of the US. Two-thirds of this group were American citizens, the sons and daughters of the immigrants from Japan. The panel will include San Diegans Yukio and Mitsuko Kawamoto, talking about their experience as teenagers during World War II, uprooted from their homes and living behind barbed wire in a Poston, Arizona “relocation center” for three years. Decades later the U.S. government apologized for this egregious disregard of its citizens’ civil rights. but could such radical action by our government ever happen again? JAHSSD marked several important events during its annual meeting on October 14: our 25th anniversary, the retirement of Linda Canada from her archivist position, and Debra Kodama’s return to the presidency for 2018. In addition, we sold the final crafts sale with items donated by our intrepid volunteers who named themselves the When’s Lunch? Bunch? The highlight of the day was adding two honorees to our list of recipients of our JAHSSD Kansha Award. 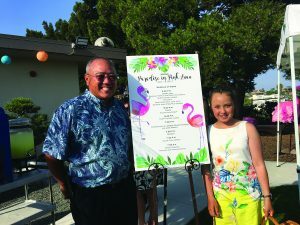 Bruce and Sharon Asakawa were honored for their contributions to the community related to the operation of Presidio Nursery, and their many years on television and radio instructing gardeners on propagation and enjoyment of all types of horticulture. The second honor was given posthumously to Paul Hoshi, who spent decades volunteering for the San Diego Yokohama Sister City Society and the House of Japan, and who conducted the annual ceremony on New Year’s Eve when the Japanese Friendship Bell was rung. We were delighted that members of both recipient families were able to attend this year’s ceremony. Linda Canada delivered a talk about achievements and activities of JAHSSD over the last 12 years, and underscored our 2018 theme The Next Level. We were honored to be able to hold our meeting at the Buddhist Temple of San Diego once again, and that Laverne Imori of the Temple staff gave our opening and closing remarks. The attack on Pearl Harbor by Japan was certainly a day that will live in infamy. Over 2000US soldiers were killed, and 1000 injured. The US fleet was critically damaged, losing 20 navy ships and some 300 airplanes. Even before the Japanese attack on Pearl Harbor, the US government viewed its immigrants from Japan as being potential Japanese spies. Immediately after Pearl Harbor, the US government declared Japanese nationals “enemy aliens” and hundreds were arrested beginning the night of December 7, 1941. Then, a mere 10 weeks after Pearl Harbor, FDR issued Executive Order 9066. Many of you don’t know what EO 9066 is, much less how it affected 120,000 Japanese Americans and their families during WWII. EO9066, issued on February 19, 1942 by FDR, announced the immediate round up and imprisonment of all people of Japanese descent living on the West Coast of the US. Two-thirds of this group were American citizens, the sons and daughters of the immigrants from Japan. It is an honor to present a discussion with former Poston internees Yuki Kawamoto and his wife Mits Kawamoto. It will be moderated by Linda Canada, Archivist at the Japanese American Historical Society of San Diego. 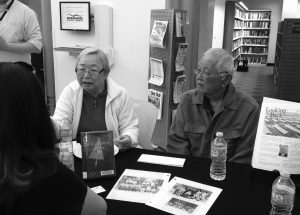 Yuki and Mits will talk about how life changed when their families were taken first to the Santa Anita Assembly Center, and later to the internment camp at Poston, Arizona. Stories about day to day life in the camps, as well as the attitudes of their families and friends, will help you understand what it was like to be taken away from the life they had known, and to live among more Japanese people than they’d ever seen before! Finally, they will talk about “moving on” after this disruption, and offer their thoughts about whether the US government might ever do this type of mass incarceration again. The National Park Service invites you to be a part of a national dialogue about the future of Tule Lake. The Tule Lake Unit is one of the newest units of the National Park System, designated in 2008. The purpose of the Tule Lake Unit is to preserve, study, and interpret the history and setting of the incarceration and segregation of Japanese Americans at Tule Lake during World War II. Your ideas will contribute to a long-term plan for development and management of Tule Lake. 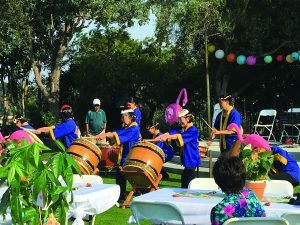 Come join us for a Hawaiian luau to celebrate our Hawaiian heritage within the Japanese American community in San Diego. 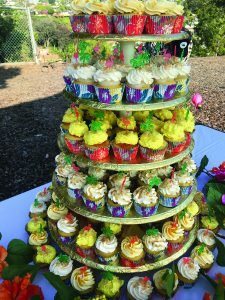 The event, presented by the Japanese American Historical Society of San Diego, will feature: Delicious “Hawaiian” food • Fun entertainment • Kids activities Taiko, hula & ukulele performances • Silent auction with fabulous prizes. Thanks, Mits and Yuki, for sharing your stories on behalf of JAHSSD. Bus Trip to the Japanese American National Museum and the Go For Broke Exhibit. A lively group of more than 52 members and friends participated in JAHSSD’s sponsored bus trip to the Little Tokyo area to tour the Japanese American National Museum and the Go for Broke Education Center. During the 2 hour bus ride to Los Angeles, we chatted with our bus buddy, made new friends, enjoyed yummy snacks, and played a George Takei trivia game for awesome prizes. The museum tours were both informative and educational. At the Go for Broke exhibit in the morning, we were led by our gracious docents, Werner Willoughby and Tessa Cenula. We then strolled to the black granite monument where the names of more than 16,000 Japanese American men and women who served during the war were engraved. This was a very touching moment as many people in our group had family members and friends’ names engraved in stone. Mas Tsuida, who was a member of the 442nd Regimental Combat Team during WWII, was in our tour group and humbly located his engraved name and the names of friends he had made during his service. We took a lunch and shopping break in the Little Tokyo village, and for those fortunate ones who had enough time, they were able to grab some mochi ice cream or fresh monju from Fugetsu-Do! In the afternoon, a JANM docent gave us an introductory talk and we then proceeded to tour the museum at our own pace. Also on exhibit was the TAG project done by our own San Diegan, Wendy Maruyama and the original multi paged Executive Order 9066 which is being borrowed from the national archives. 2017 is the 75th anniversary of the Executive Order. We were touchingly reminded of the courage and sacrifices made by our Issei and Nisei pioneers. It is good to remember. On a lighter note, we viewed the newly opened exhibit, The Many Worlds of George Takei. His Broadway show, Allegiance, has focused renewed awareness on the incarceration of Japanese Americans during WWII. In today’s uncertain times, the musical is proving especially meaningful.